SideSlide is an advanced, portable, unobtrusive, dockable, skinnable, instantly accessible, highly configurable Desktop Extension on Steroids! SideSlide keeps your desktop clutter-free and organizes your PC life in a unique and personalized way. With dynamic containers, a full featured keyboard launcher and various innovative features, SideSlide lets you get instant access to everything you have and much more. SideSlide is the program launcher you never knew you needed, with the ability to contain and organize a bewildering amount of information. This program respects your system and keeps all of its configuration files in a single folder. SideSlide is completely free. 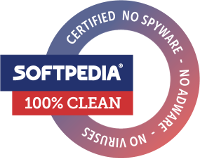 It doesn't contain adware/spyware or bundled with any 3rd party software. Dock and hide SideSlide to any screen edge. Browse through your favorite RSS news feeds, keep shortcuts to files, folders and URLs you frequently visit and execute various commands quicker than ever. Add multiple notes and picture slideshows, schedule reminders, save web snippets and more. Customize the workspace to emphasize the things you use the most and make more information accessible without occupying precious screen space. By using containers you can shrink and fold to organize your projects, downloading ready-made containers from an online library, linking containers to actual folders on disk, detaching containers from the workspace to claim additional space, various ways of launching multiple shortcuts at the same time, shortcut tags, zooming in and out of shortcuts, news feed reader, advanced keyboard navigation and launcher, different skins, picture containers, quick expression calculator and colored notes; SideSlide is designed to make a great deal of content instantly accessible and neatly organized. Instantly accessible and adjustable workspace that stays out of your way until you need it. Add multiple shortcuts, commands, URLs, RSS news feeds, pictures, reminders and notes. Resizable, detachable, foldable and shrinkable containers extend the workspace beyond the limits of the screen. The workspace lets you sort and position everything in the way that works best for you, without any rules. Mouse & keyboard support with a full-blown keyboard launcher that includes a quick expression calculator, directory navigator and much more. RSS news feed functionality featuring a Subject Tracker that allows you to track what you are interested in the most. Keep your eyes on multiple picture slideshows that are easily added. Floating, colorful notes are quickly created and adjusted in bulk or separately. Shortcuts can be tagged for additional functionality and organization. Various ways of launching multiple shortcuts with a single click or the keyboard. Speed Launch: Launch shortcuts using a single keystroke. Link containers to actual folders on disk (launch, move, copy and delete files). Shortcuts, URLs, text and pictures from Windows or your browser can be dragged & dropped in the workspace. A growing online library with ready-made RSS news feed and shortcut containers. Every style and setting in the entire program and for each individual object can be customized. Fancy special effects that don't slow you down. Comes with multiple themes and wallpapers and you can also define your own style. Supports a portable installation to run from a USB stick: The workspace remains fully functional even when Windows assigns a different letter to the drive SideSlide is running from. SideSlide is completely free. It doesn't contain adware/spyware or bundled with any 3rd party software. If you find it useful, please consider a small donation. If you find SideSlide useful and would like to show your appreciation, please consider a small donation by clicking the Donate button above (via PayPal). Any amount you want to give (even $1) is a great help for keeping SideSlide alive.